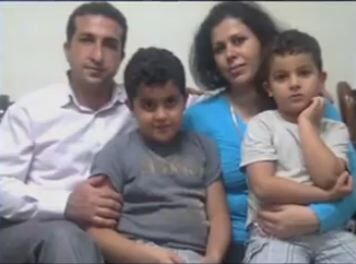 Many of us have been praying for Pastor Youcef Nadarkhani for a long time now. For those who are not aware, Pastor Youcef who is from Iran, was arrested a couple of years ago and charged with apostasy (abandoning the Islamic faith). According to Shariah law, this “offense” is punishable by death. Most of the international community is outraged at this threat to those who become Christians and leave Islam. Pastor Youcef has bravely refused to give in to demands to renounce his faith in Jesus Christ and return to Islam. I have attached a video update here from Jay Sekulow’s program, which gives you a further update on the situation. Please be in prayer for Pastor Youcef, his wife and family, and for all persecuted Christians around the world who are standing firmly for their faith in Jesus Christ, even to the point of death.